Fashion Killers is a very nice little shop, which is located right next to Görlitzer park, in a small basement. Around 4000 vinyls are in stock and the selection is very good, the price is also very good and all the records seems to be in a good condition. 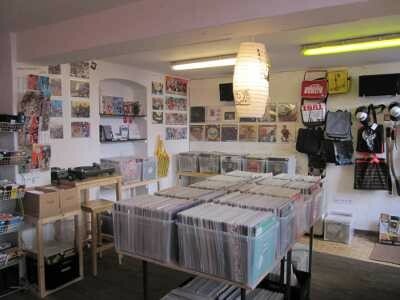 The shop has a great selection of indie, rock & alternative vinyls as well some reggae, dancehall and jazz. Both second-hand vinyl as some new records and re-presses are available in the shop. Hola Juan,guapo,soy Inés. Vamos a berlin la semana que viene. Went to that shop last weekend. Very welcoming and friendly owner. Huge choice and varieties.